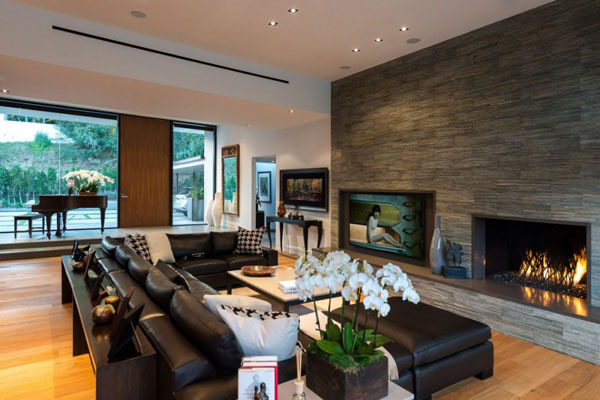 Sophistication and elegance is a killer combination for any dream home, but the way these defining traits are put into play in each home differs. Some people choose to display their passions, and others love the sound on a piano’s strings so much that this large musical instrument occupies a carefully selected place in the home. 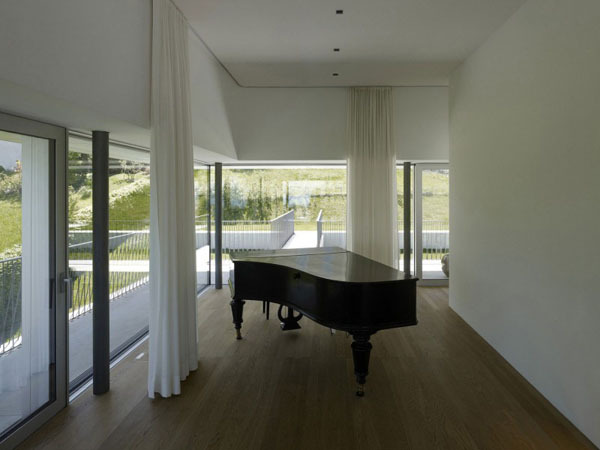 There are many examples of how and where to display a large piano in your modern home, and we’ve curated a list of 21 fabulous modern homes showcasing elegant pianos. We hope you enjoy each and every one, and hopefully they will spark some creative ideas! Imagined by Eduarda Correa, this stone and wood residence in Morro do Chapéu, Brazil features a dark piano that enhances the sophisticated atmosphere. Natural materials were modernly shaped to convey a sense of belonging, while wooden blocks rhythmically strike metal strings. Located in the exotic Grand Cayman Island, this $35 million dollar beachfront estate home is what you would expect from a dream oceanfront property. 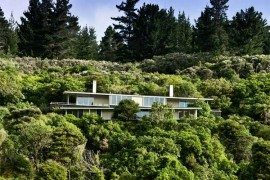 Some dreams have piano string soundtracks – this impressive residence is the perfect setting for a blessed life, I’m sure. This elegant interior from Artistic Designs for Living is enhanced by the piano placed in the bow window corner, where natural light caresses the instrument’s dark body, illuminating the atmosphere. Decorating around a large-scale instrument like a piano is not easy. 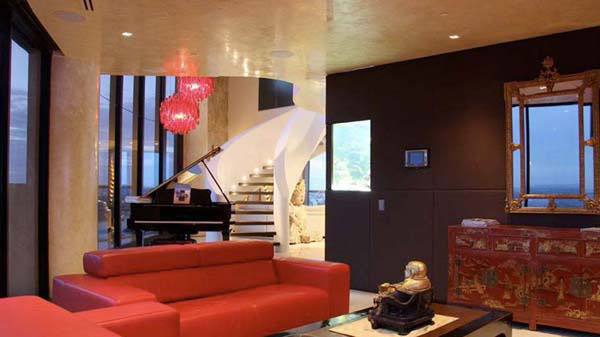 Designers use colors, textures and light to compose the best setting possible for each room featuring a piano. 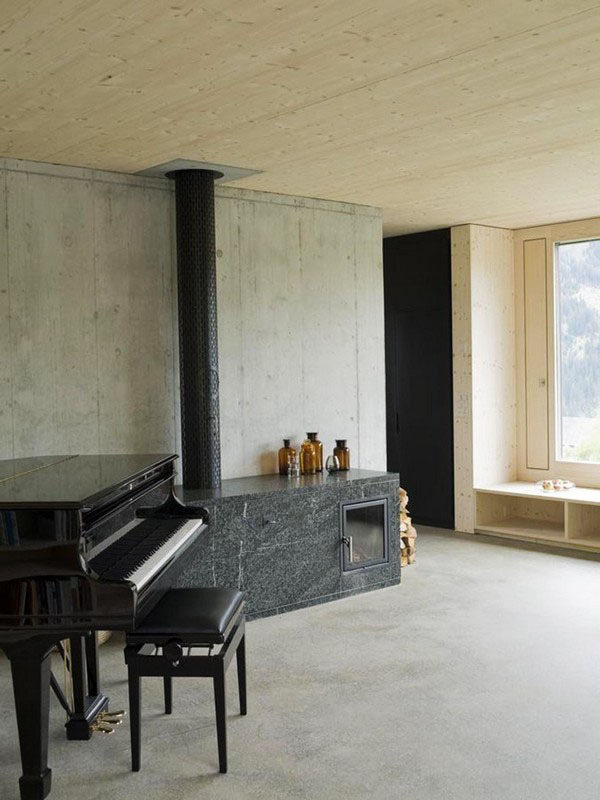 Take as example the Lumbrein Residence designed by Hurst Song Architekten as a family holiday retreat in a picturesque village in Switzerland- it’s an ode to simplicity, comfort and style. 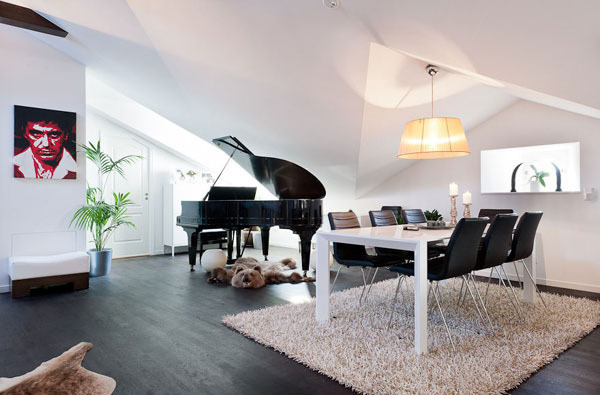 Apartments are usually tight when it comes to space, so a piano might not be the right choice. 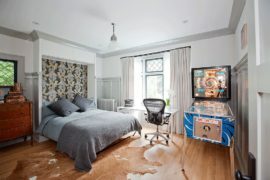 Unless you live in a sophisticated penthouse apartment in Stockholm that proves that style and comfort go hand in hand. Dream homes like the LAM House by arstudio provoke their inhabitants to want more from life while enjoying the things they have. A beautiful piano adorns a glass corner in this amazing home overlooking the Hahula Valley in northern Israel. Views and sounds merge in unforgettable moments that you just want to hang onto forever. 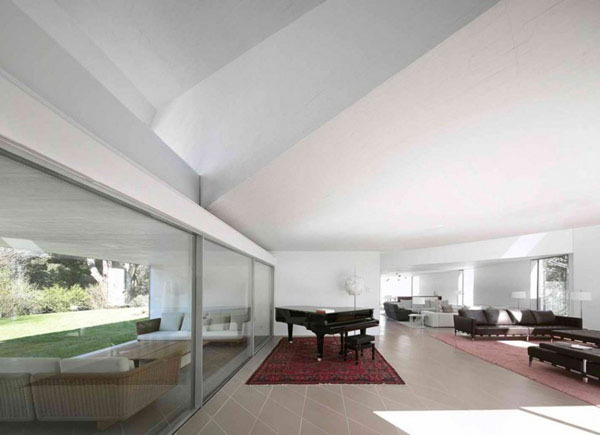 A large living space like this 1950s interpretation of a built-in “conversation pit” seems to need a piano -an elegant, imposing musical instrument that can complete the overall atmosphere and change the mood with its simple presence. 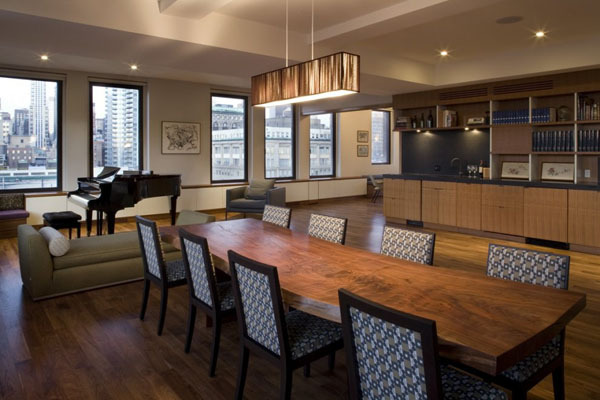 The Empire State Loft above was designed by Koko Architecture + Design and can be found on New York’s 5th Avenue. 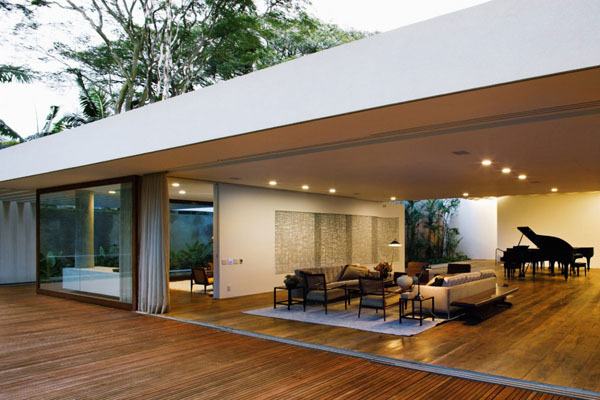 Santa Amaro House by Isay Weinfeld occupies a quiet residential lot in São Paulo, Brazil. As “the homemaker is an amateur piano player who enjoys gathering friends at home for intimate musical recitals”, the expansive modern residence includes a Steinway concert piano in the living room, where friends and family gather to enjoy their time together. 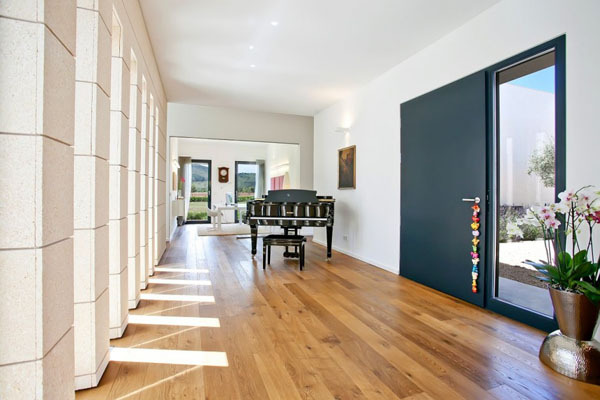 In the case of the Mallorcan holiday home pictured above, a piano is deliciously displayed so that the one who plays it has a relaxing view of the cheery interior courtyard. 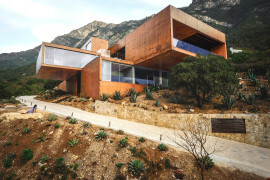 A brainchild of ecoDESIGNfinca, this residence welcomes its inhabitants within a bright, cheerful atmosphere where the piano fits right in at the entrance. Part of an exclusive TriBeCa Penthouse apartment spotted on Sotheby’s, the inspirational space pictured above presents a dream many have: owning a piece of heaven above Manhattan, where dynamic, modern shapes are intertwined with the classical feel of an imposing piano. When passions collide, awe-inspiring interiors get created. 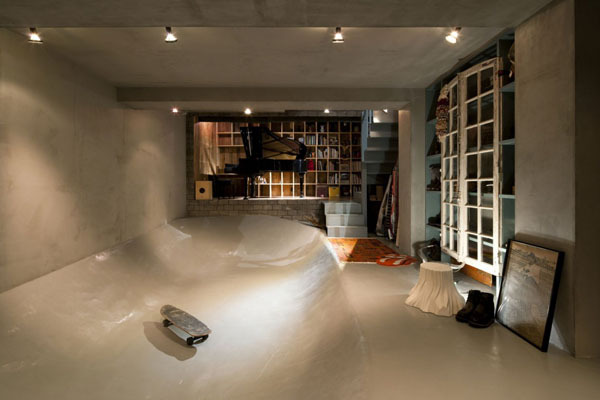 The Skate Park House is a brainchild of LEVEL Architects, who imagined an indoor skate park and concert space for a young married couple with very different hobbies: he likes skateboards and she prefers playing the piano. Perfect match, right? 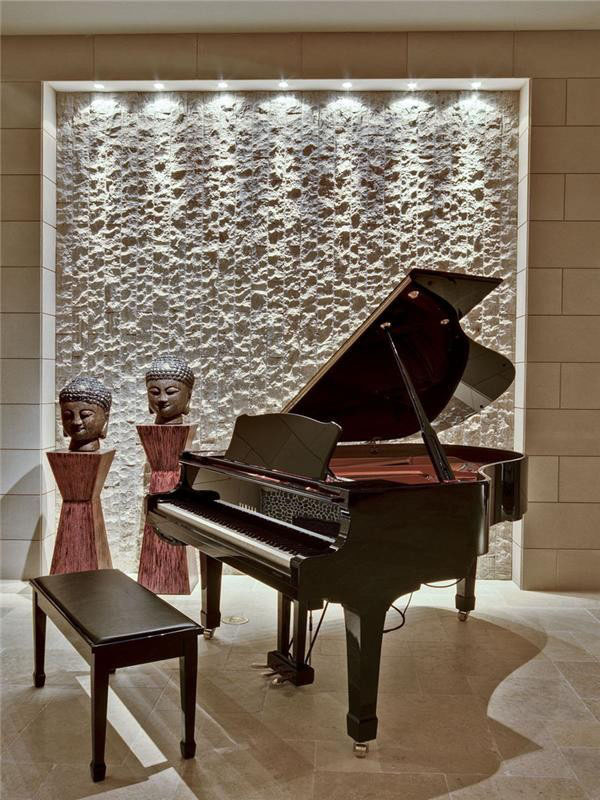 Elegantly displaying its easy-to-spot shape in a luxurious home known as the Wallace Ridge residence, the piano greets family and guests at the door. 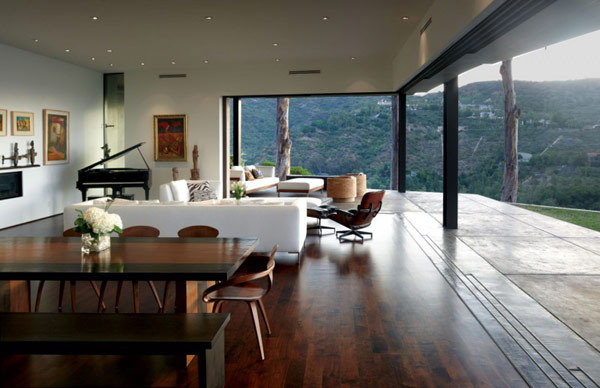 Completed by Whipple Russell Architects, this California home was dressed in rich coffee bean brown to contrast the light walls, while the imposing piano rests in front of the floor-to-ceiling windows. Gathering panoramic views of the canyon, the Mandeville Canyon Residence in Los Angeles was designed by Griffin Enright Architects as a fabulous home in a stunning setting. 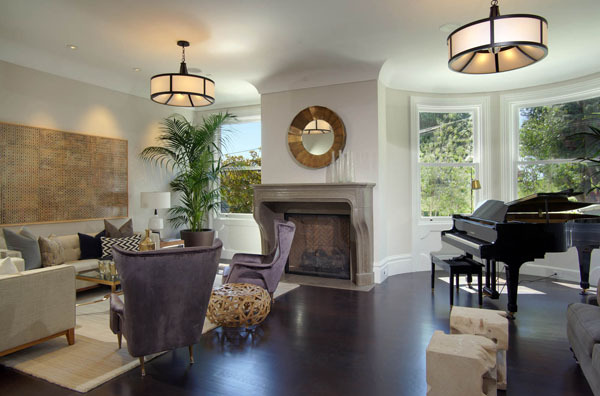 A piano in the corner of the living space enhances the overall feeling of a carefree lifestyle. Built for a family of three who enjoy outdoor spaces, the Hanging Home by Chris Briffa Architects elegantly displays an upright piano in the stylish living space. 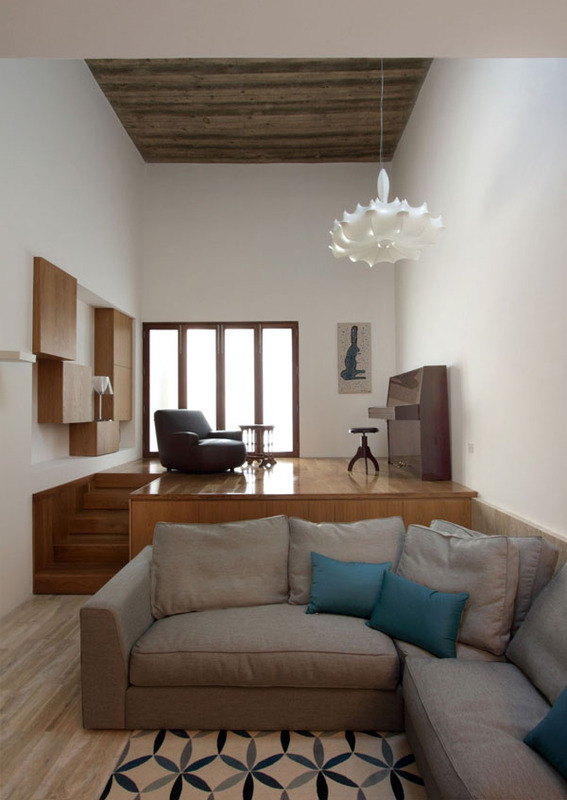 This family home in Malta vibrates while the parents enjoy their daughter’s piano playing in a relaxed atmosphere. This West Hollywood home at 1654 Blue Jay Way explores a lifestyle known to only a few. Overlooking an incredible panoramic view of LA and the Pacific, piano chords rushing through the glazed living space invite you to get carried away in your personal dream. What you see above is another magnificent example of a piano by the staircase. 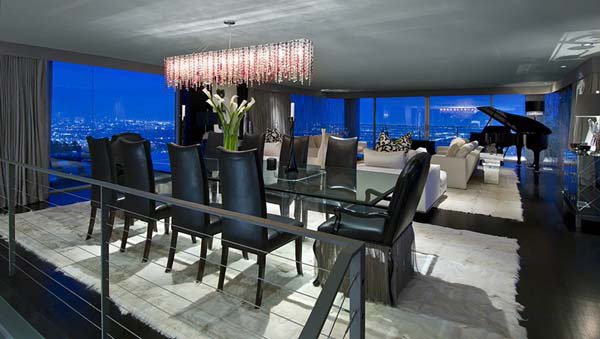 Designed by architect Harry Seidler, this penthouse apartment constructs a 280-degree panorama of Sydney, the Opera House and the Sydney Harbour Bridge, allowing its owners to enjoy the second best things in life, because we all know that the best things in life are free. 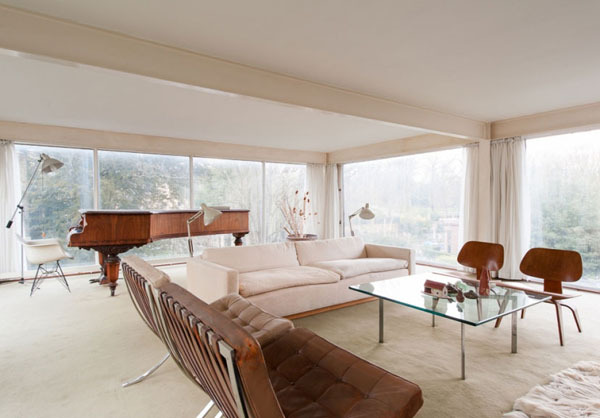 This London dream home dating back to 1967 (when architect John Winter created a modernist home for himself) boasts floor-to-ceiling windows exposing the top-floor living room and study to views of Waterlow Park and the cemetery. The piano sits there like a reminder of how dramatic art and nature can be. Modern homes with wide open spaces like the AA House above seem to call out for the elegant shape of a piano to complete their refined atmosphere. Designed by OAB, this home in Barcelona receives bundles of sunlight through generous windows, cheering up the atmosphere and accentuating the presence of a large musical instrument within its intriguing geometric architecture. Turning the Lymm Water Tower into a contemporary home complete with a piano was Ellis Williams Architects‘ way of showing how design and attention to detail can change the way we experience spaces. Black and white were used to create a sober, bright space, while the red sofas break the monotony of such a pristine setting. 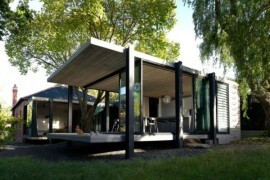 When all you need is to hear fingers dancing along black and white keys, a simple glazed corridor with visual access to the picturesque Austrian landscape at the foot of the Pfänder mountainside in Bregenz will do just fine. 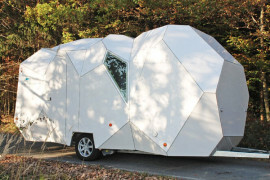 Marte.Marte Architects imagined a minimalist home where the accent lies on the dynamic life of its inhabitants and the beauty of the surrounding nature. 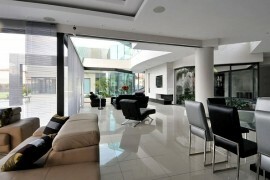 The last in our list of 21 fabulous modern homes showcasing elegant pianos is Villa 1 by Powerhouse Company. 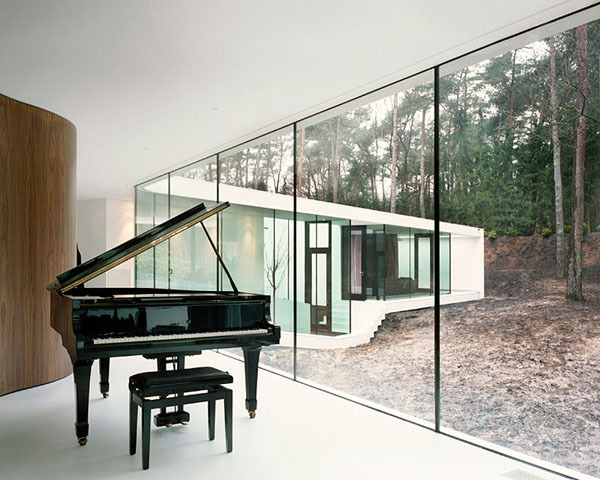 Opening its interiors to the surrounding Netherlands pine forest, this home provides its occupants with a minimalist collection of glazed interiors where the large black piano thrones in the spacious music room. 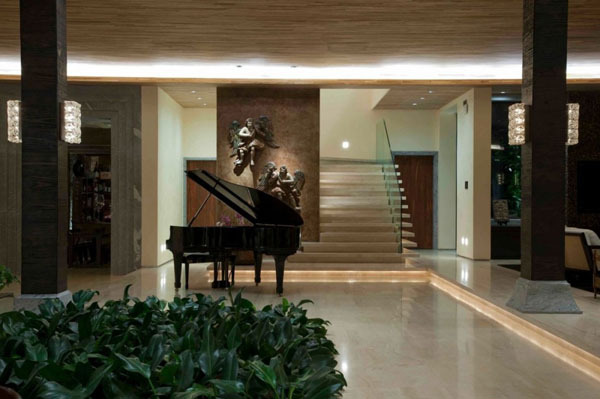 After seeing these amazing interiors adorned with pianos, you probably have a favorite. 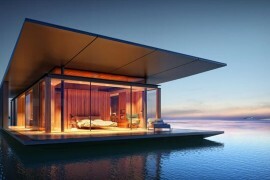 Care to share with us which one of these homes was more to your liking?